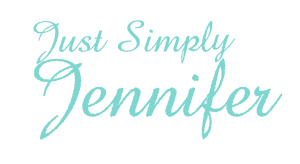 Shelves, Sorry Jeramy… | Just Simply Jennifer! My brother made me these custom shelves like 5 years ago. They were made to fit into the one room of my basement. I am now trying to turn this into Kyra’s bedroom, so the shelves are coming out. You have no idea how hard this is, so the first one is going to be turned back into boards. I thought I could saw in in half and put it back together, simple in thought. We got it sawed apart. We still couldn’t get it moved to the other side of the basement, so we had to cut the top shelf off. Here is what it looks like after the cutting has stopped. We are going to totally disassemble it after hunting season here. It should be a fun time. Aaahhhh! Oh, yeah we did this a week ago, I am just behind in my posting and the photos just came off my camera. I thought it was pretty funny and a good memory though, so here is the post. Have you ever really messed up something that you liked, like this?? I was really looking forward to having all my clothes close to my washer…on this shelf.